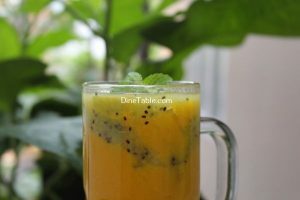 Kiwi Mango Layered Smoothie is a delicious combination and it is very tasty smoothie. 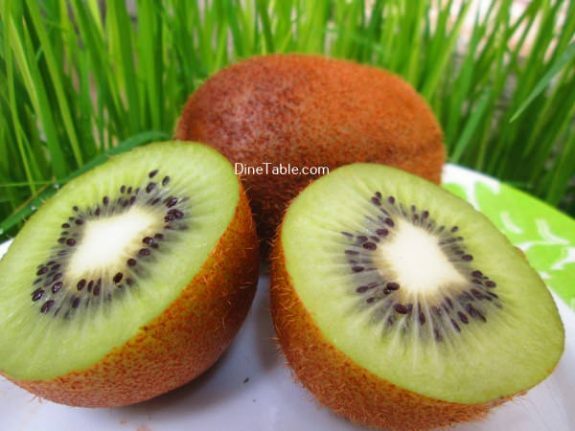 Kiwi’s also help to boost your immunity, due to the high vitamin C and other antioxidant compounds. They will also protect your skin from degeneration. Mangoes could help reduce body fat and control blood sugar. 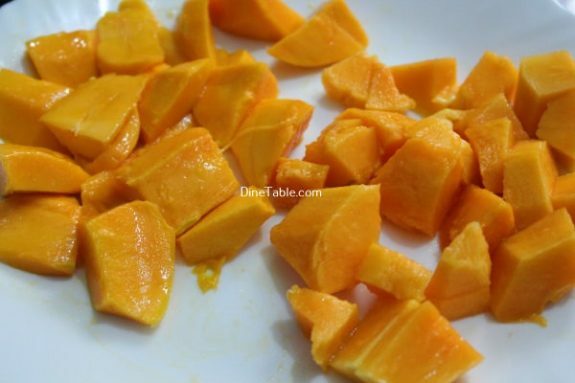 Mangoes are very low in saturated fat, cholesterol and sodium. They are also an excellent source of dietary fiber and vitamin B 6, as well as a good source of vitamin A and vitamin C.
Mango is the base for this tasty shake. It’s rich in antioxidants that prevent several types of cancer, including breast, colon, and prostate cancers. 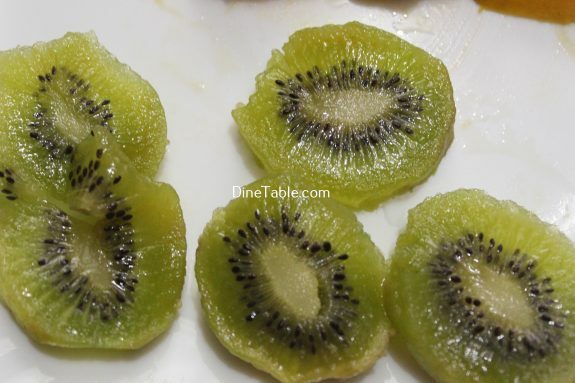 Kiwi contains a huge load of vitamin C, a renowned immune booster. It also contains vitamin K, a ton of fiber, and numerous phytonutrients and antioxidants that fight heart disease and cancer. Peel and chop the mangoes to small pieces. 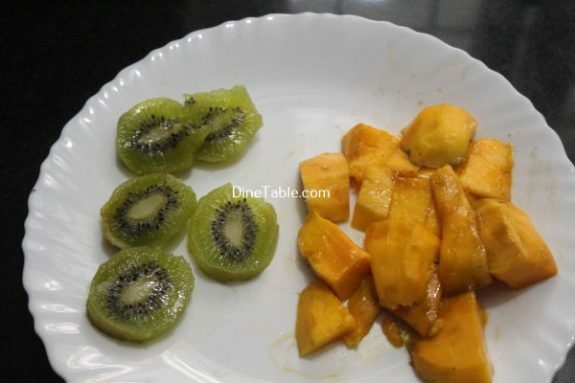 Add the mango pieces and 1 tsp of sugar to a blender and blend until it is smooth paste. Peel and halve the kiwi. Chop the kiwi into small pieces. 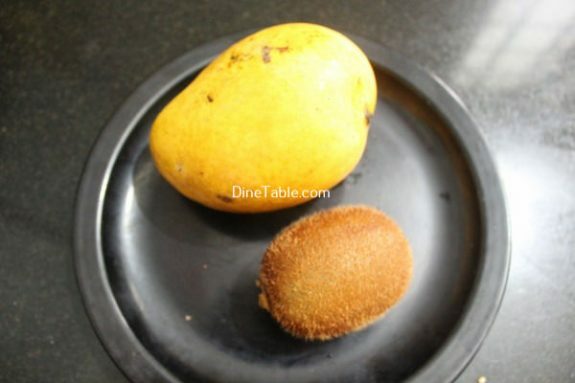 Place the kiwi, sugar and mint leaves along with the water in a blender. Blend to a smooth puree. 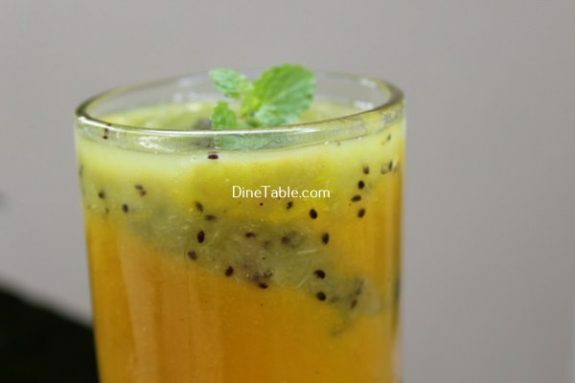 Take a glass and pour mango smoothie into it and top with kiwi puree. Add ice cubes. Tasty Kiwi Mango Layered Smoothie is ready.